Homemade sangria with freshly picked oranges. 750 ml. 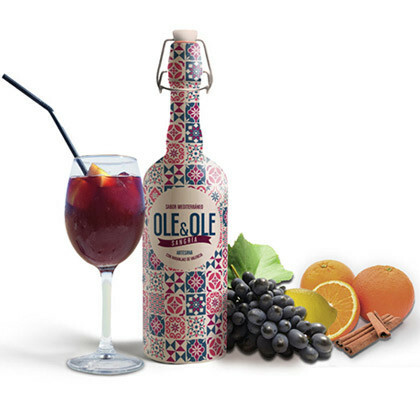 Ole & Ole is a homemade sangria, with 100% natural ingredients. Our recipe, based on the maceration of the fruit in wine, makes it unique and irresistible. Combining the natural and the artisan we elaborate the sangria with great care, selecting the best ingredients and without using dyes or aromas. We use only natural ingredients. Gourmet sangria made from red Tempranillo wine, fresh orange juice and freshly harvested lemons, cinnamon, sugar and liqueurs. 750 ml bottle with reusable cap. Free shipping costs if you buy a box of citrus fruits.